Attention women! 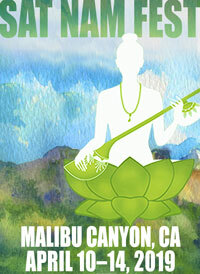 Tomorrow will mark the beginning of our 40 day Spirit Voyage sadhana challenge. This meditation is specifically for women. Reciting the Sopurkh 11 times (for up to three men in your life) can attract your soul mate, raise the vibration of the men you are saying it for and help them to live up to their fullest potential, and transform your karma around men. 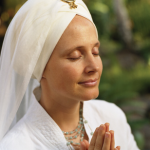 It is one of the most profound Kundalini meditations that a woman can do. You can recite it all at once, or split up the 11 recitations throughout your day. We’re starting tomorrow because it is Harnam Singh’s (Love Infinite Divine) birthday (Happy Birthday Harnam! ), and when asked what he wanted for his birthday, he responded “Sopurkh!” We admired his answer so much, that we thought…what a profound way to change the world. If every woman takes this initiative to say a powerful prayer (and Yogi Bhajan said nothing in this world was more powerful than the prayer of a woman) for three men close to her, imagine the ripple effects of goodness! You can also say it to attract your true love, but first you will have to clear karma from your arc line. When I did my first 40 days of Sopurkh, I had dreams almost every night saying goodbye to old boyfriends. I could literally feel the energetic ties being cut. Beautiful things have come to me since. I’ll be here with you every step of the way as your virtual teacher. We’ll post a video, have interactive discussions, and if the need is there, we might even have a So Purkh coaching Skype conference! 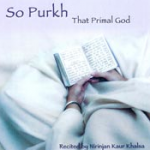 My favorite recording of the So Purkh was done by Nirinjan Kaur….make sure you get a copy of her amazing CD! (Click on the picture of the album to listen to clips!) It is a beautiful way to get in the groove with pronunciation. Ek ong kar sat gur prasad. (LIVE VIDEO) What's the next 40 Day Global Sadhana Challenge? 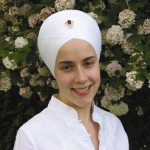 So Purkh Challenge: A Letter from Snatam Kaur! Hi Ramdesh kaur, I am in long distance relationship with my boyfriend.Please tell me that after reciting SOPURKH,,,can I do ARDAAS with his name…..I also wnna start tis for his good career and our true relationship. I’ve been married for 11 years and we been fighting for 10 years. we argue on small things and fight in front of kids all the time and now at this time we both especially my husband wants to get divorce and we have 2 little children. I’m so depressed and not sure what to do. Should I recite this mantra and get my husband back in my life with love, respect and care. I have been reciting so purkh for 7 days now! I feel like I’ve gone from a high to a low since reciting it, I feel emotional and low! This is causing a lot of negative atmosphere! I have been reciting this for 7 days now, I don’t feel up lifted and peaceful instead I feel upset and emotional all the time! Hi, I love my husband very much,he loves me too,but we are living separately because all of a sudden black clouds come and kind of ended our relationship, I want him back, but he being very immature about it, I started so purakh yesterday, hopefully will see good results soon,please help me with some more mantras that could help me. Guru Guru Waheguru Guru Ram Das Guru is a great all purpose mantra, Navneet, but you’re on the right path with Sopurkh! Hello I’m 7 days in to it and I don’t no if I’m doing it right! I listen to niranjan kaurs Gurmukhi version and recite along to that! Just need a few questions answering! 1 -Can I recite it while lying in bed will it have the same effect? 2 – Do I need to cover my head? 3 – I still can’t pronounce some words but I am trying? Would really appreciate it if you could answer my questions! Satnam Ramesh! I’m so stressed because 30 days ago I started so purakh prayer for my boyfriend but 2 weeks ago he fight with me and block me. He didn’t talk with me but I still doing so purakh prayer, I want marry with him plzzzzzzz help me what I do. Can I stop the prayer or no Plz reply me quick I don’t want my friend go away from me I love him so much! Plzzzzzz help me thanx. I have been married for over a year now and it is a love marriage. Me and my husband argue and fight nearly every day, it seems that the love has gone and we don’t seem to understand each other anymore. In order to make myself strong and to bring improvements in our relationship I do nitnem sahib and today is my first day of reciting So Purkh. My question is that how do I keep myself strong when he is arguing with me? I know in the Gurbani it is stated “Moorakh nal na lujhai” but my husband argues with me and wants me to retaliate back to him and I wish not to. I feel so lonely, please Ramdesh Kaur Ji, please help me. Thank You, May Waheguru Bless You. i have a question, i’m doing the so purkh for almost 3 weeks. i would like to know if i can chant more than 11 times a day and also wich mudra can i do. thank you! I have the recording on at work during the day and chant but veryyy quietly and most of the time I chant it in my head silently. Will this work or should I actually chant it out loud? It’s kind of hard finding 30 mintues to do this with kids and full time job… no me time 🙁 Please advise. Thanks! Sat Sri Akal, Guru Nanak Dev Ji de Gurupurab di lakh Lakh Wadaiya. I am in one of those who is in chain of reciting So Purakh everyday. I am doing it for Husband, as I want to make our relation better. It’s been more than 15 days now. Thanks for making me aware about this blessing. Waheguru ji da khalsa, Waheguru ji de fateh. Satnam. Yesterday and today, despite the fabulous energy of So Purkh, I think my heart is still in a deep cleaning. Recived something I was waiting for for a few months from my ex-boyfriend. And in that moment I recive it, I felt an amazing love and sweet energy in my heart, sorrunding me, connecting me to him. He still is in silence. Latter on the day a sadness came from the inside and today, in some moments too. At that time I feel my heart opening, just to let all things move and be cleaned. Still sad and happy at the same time, you know?! Letting the sad things and moments go out. Vibrating on the joy of this mantra too. A lot of things are happening. Reciting this mantra inspired my 8 year old daughter to start reciting the Mul Mantra 11 times a day to. 😀 And she goes singing and dancing around the house counting the 11 times. 😀 Such a joy and gracefull moments. As she asked me to recite SP near her, I started do recite 1 or 2 times SP near both my daughters (8 months and 8 years old). They enjoy it and so do I. Everything is changing. May this mantra help me as my little girls in this times. I know it does. Thank you Guru Ram Das. Thank you Ramdesh and all of you here on SV. Wow. Just want to say one example of how So Purkh worked on me. Right now I’m going through some legal issues and need all the help I can get. When I asked my brother to help me by simply getting some informations for me, he refused. (please understand I didn’t ask him to lie or do something against any moral standards) So he has been refusing for about 3 or 4 months now. I dedicated my So Purkh to my husband, brother and father. So their hearts can open and they feel the love. Because when they are happy everyone around them is happy. It was somewhere around day 20 when my brother calls me and he says he’ll do anything I need. How can he help. A said I will let him know very soon. When I hung up I almost cried at my tiny little desk at work. It was absolutely amazing. This was total 180 degree turn around. But there are many others small miracles happening everyday while I’m reciting this mantra and I’m thankful to Guru Ram Das, Nirinjan Kaur and of course Ramdesh Kaur and Spirit Voyage. What a absolute jem this mantra is. It works on soooo many different layers of life. We’re up to 300 women in 26 countries ! This is amazing! Thank you all for joining into this vast prayer network! Sat Sri Akal, I will join from today & will give you a feedback after a week, Thanks for this mantra meditation. Update…we now have approximately 250 women (and 5 men) in 25 countries signed up for the Spirit Voyage 40 Day Global Sadhana Challenge: So Purkh. Way to go everybody! Waheguru! Day 23/24 It’s all turning– Got this letter from the EX yesterday — a chain mail – but still amazing:I am sending it on to you all with Big Blessings! May today be all you need it to be. May the peace of God and the freshness of the Holy Spirit rest in your thoughts, rule in your dreams tonight, and conquer all your fears.. May God manifest himself today in ways you have never experienced before. May your joys be fulfilled, your dreams be closer, and your prayers be answered.. I pray that faith enters a new height for you; I pray that your territory is enlarged. I pray for peace, healing, health, happiness, prosperity, joy, true and undying love for God. ¡Qué bueno que te unes a nosotras! y claro que si lo puedes hacer en español. 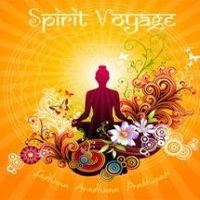 Checa la página de Spirit Voyage en Español en facebook. Allí también aparecen todos los comentarios y los enlaces. Sat Nam ! ACABO de enterarme de Este maravilloso mantra y quiero Comenzar Mañana Mismo mi sadhana Por 40 Días . Lo puedo ” cantar en español o es preciso cantar el original? Day 11…Prieceless! Roberto the big X, moved out over a year ago…BUT! I just found abig bag of insoles for his shoes. Since, Karma travels in shoes — only God knows what was in the insoles! — No worries – it is garbage day, the truck waiting for me as I tossed that bag into the dumpster. Things are finally moving….♥♥ So Purkh, Wahe Guru Ram Das Ji! does it have to be for the same men the whole 40 days? or can it change? what if it is done for a dead person? It is best if done for the same person, which will maximize effects. You can absolutely do it for a person who has already passed over. I did the 120 days of arc line clearing, then did 240 days of the So Purakh shabd, using Nirinjan’s beautiful recording and my Shiva came to me! It does work. I’ve used it to pray for world leaders, family, clients, friends, lovers, strangers. I’ve seen men change over night after reciting this for them. I have a miraculous story of reciting it when I was camping alone to protect me from a low energy drunken group of men that stumbled into my camp and saw it change them into light. I have recommended it to so many women. I usually recite it every Friday. Thank you for this 40 day invitation that I only just now heard about. I’ll do it for 120 days and pass this along. Since I no longer need to read the words and my hands are free, I’m wondering which mudra I ought to use. Something tells me I need to do this so I will! Thank you for your guidance! I am already chanting So purkh for some time now and I have completely fallen in love with it, it works and transforms on such a deep level. We have also started a So purkh chanting circle in Amsterdam, with a group of yogi sisters chanting together. That makes it an even more beautiful and powerful experience. That’s so wonderful! I just finished 40 days of Sopurkh last Monday, and still going, just hoping that I can keep it as a daily practice for the rest of my life. In the meantime we have started a weekly Sopurkh chanting circle here in Amsterdam, which is attracting more and more women every week. Seems like Sopurkh is really “in the air”! Keep up and be enchanted by the wonder of this magical meditation! I’m doing it, thank you. Wow, God bless you, i saw this at the right time and i join you with all my heart and welcome it’s miracles in my life. I have been on this since Ram Das Puri Solistice 2010 …Tonight, I had a very rude awakening and need to clear. So, by Grace of Guru, I am please to be found by you all. I do so love Nirijan’s Youtube version — that is what I am working with…Also, have the CD! See you in the ethers! How do you join?? I want to do it! What do you think the effect would be if one of the men this is chanted for has died? I would like to join to this meditatin too, I will begin today, but I have a question if I dont have a good pronunciation or i dont know how is the pronunciation is it ok? could this meditation help our fathers or brothers ? dould I find my soulmate doing this meditation? I just did my 11 rounds with Nirinjan’s recording. I’m learning the words but I believe in intention above skill. this may be a silly question, but does it hurt to leave the recording on repeat in the background even when I’m not specifically meditating? I’m good at learning words that way. Keeping the recording on when you aren’t meditating is a PERFECT thing to do! It will help you learn it, and fill the energy of your space with a glorious vibration! I started this prayer a few months ago, it is amazingly powerful! The first day I did the prayer my husband got an amazing job offer. If I miss a day, I can totally feel the difference. I will join you for a solid 40 days of So Purkhs & beyond! And gratitude to Nirinjan Kaur for her beautiful recording, it is a blessing! What a wonderful idea! Thank you! I have trouble logging onto the spirit voyage site as a friend used my laptop to do so and now it seems to only recognize her. I hope the order I placed will come to me and someday will figure out how to have the site recognize me rather than greet her! (She has her own laptop now! at her own house). Also, I am planning a trip to Chile later this year and wonder if you or 3HO has service projects there and ways to greet other kundalini yoga practicioners there? Love the site. Often can’t hear the songs from the radio though. Guess I am having technical difficulties…. This is great! Will be a great experience for you all. My wife has been doing this every day for years. The power of prayer of a woman is very strong! Yes you can Maria. I recommend doing the Gurmukhi if possible, but there is a beautiful experience to be had as well through the recitation in English. Count me in please. Since today is 14 Sep, I am ready to start! I am being called to be apart of this Sadhana. And I am very excited with the integrated approach you have highlighted. Do we have to sign up to receive notice of video posts, discussions, skype dates etc… I feel the circle of Sisters connecting…Wahe Guru. Thank-You. I shall be joining this challenge. Thank you for giving me the words as I don’t know anyone where I’m living who ‘does’ Kundalini practice. Thank you for including “Ek ong kar sat gur prasad” with your posting. Having recently done 40 days (looking forward to 40 more!) with this mantra and using Nirinjan Kaur’s beautiful recording to guide me in learning the pronunciations, I was curious as to the phrase she was chanting before each repetition. Very nice to know now what it is and to be able to look up it’s meaning. Now that I have read a little bit about it,can you tell me why it was included in her recording – and ought I to include it during my chanting practice? It seems to be very sacred and I do not wish to be disrespectful. It is a standard way to begin a portion of the daily prayers… You should chant it as Nirinjan has chanted it, especially if you have the recording. Blessings! I am new to meditation, and to So Purkh in particular. I do appreciate that this mantra helps others. I am reaching out to inquire more about this sadhana practice. is it simply repeating the mantra about described 11 times for 3 men close to me? or are there other practices? i would appreciate more guidance if you please. That’s right Rexanne! You simply repeat the words 11 times with great intention…you focus your mind on sending blessings to up to 3 men and know that your words are uplifting and elevating their vibration! Sat Nam—I am going to do this one. I love chanting pauris and I do Dhan Dhan Ram Das Guru daily. Thanks for your inpsiration. I look forward to hearing more. Wahe Guru! !